William T. Waterman called the Rotary Club of Davenport Iowa together for the first time on November 11, 1911 when 28 members met at the Davenport Hotel. William Waterman and William H. (Bill) Harrison had initiated the idea of such a club after Harrison had visited the Rotary Club in Des Moines. Later, they met with Founder Paul Harris in Chicago and picked up more enthusiasm for their efforts. In February 1912, the club was chartered with 58 members by the National Association of Rotary Clubs, now Rotary International. Their first service project was a Christmas party in 1911 at which they hosted 100 needy children. The next big project that they undertook was the Davenport City Beautiful Contest in which neighbors were encouraged to improve their gardens. This early 1913 project was recognized and published in the Lady's Home Journal and as a result was copied by many other cities and organizations. 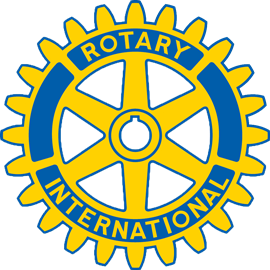 The Davenport Rotary Club has sponsored the creation of, or been a partner with another Rotary Club, in extending ten new clubs. In Illinois, we sponsored the Rotary Clubs of Rock Island and Moline in 1914. 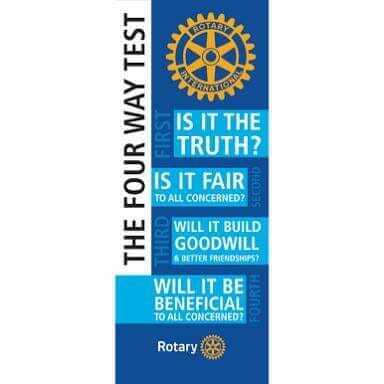 In Iowa, we sponsored the Rotary Club of Iowa City in 1915, the Rotary Club of Muscatine in 1920, the Rotary Club of Maquoketa in 1939, the Rotary Club of Burlington in 1950, the Rotary Club of Bettendorf in 1957, the Rotary Club of North Scott in 1973, and the club co-sponsored the Iowa Quad Cities Club with the Bettendorf Rotary Club in 1985. In 2007, our Club sponsored a new Rotary Club in Siem Reap Angkor, Cambodia. In addition to sponsoring new clubs, two members of our Club have received the honor of serving as District Governor for our Rotary District 6000: Henry Hook in 1973-1974 and William M. Brandon in 1936-1937. Popular speakers have made our Club a regular stop. University of Iowa men's coaches such as Lute Olsen and Forest Evashevski, Captain George Barr (one of Doolittle's Raiders), Senator Hubert Humphrey, former Special Assistant to President John F. Kennedy Arthur Schlesinger, advice columnist Ann Landers, Green Bay Packer Football great Ray Nitschke, and former Special Prosecutor on Watergate Leon Jaworski. Vice President George Bush also made a stop in 1986. Throughout the years we have heard from University Presidents, past Commanders of the Rock Island Arsenal, community leaders, and fellow Rotarians. In 2007 we welcomed Rotary International President Elect D.K. Lee from South Korea as a speaker. These are but a few of the many quality speakers the club has had the opportunity to host. The most notable achievement in the history of the Club is the establishment of the Rotary Memorial College Loan and Scholarship fund. This fund was established with a $2500 donation on May 29, 1922, in memory of the 276 men and women of Scott County Iowa that gave their lives during World War I. Along with donations from club members on their birthdays and significant other events, two major donations were received from James and Marguerite Dunn and Walter and Alice Ackerman. The Fund has now grown to a value of $1.2 million and has made loans to over 300 students and scholarships to over 50 students. Each year one $15,000 scholarship and three $10,000 scholarships are awarded based on a competitive process for seniors in the four Davenport high schools. In recent years the Club has been actively participating in world service projects. In 2000, Rotary President Bill Ashton led a group of 14 from District 6000 to Surat, India for National Immunization Day. Club members were part of a team that immunized 284,000 children under the age of 5 in one day. In 2001, President Brock Earnhardt led a group of four members to the remote Mayan Indian villages in Guatemala's Sierra Madre Mountains. This team completed water projects in a number of these villages ensuring a supply of clean drinking water. The World Community Service Project Committee has also been responsible for preparing the club's first 3-H Grant (a humanitarian grant) to rebuild a village in India that was devastated by an earthquake. 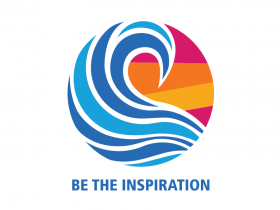 Other projects include building an eye bank and processing center in Bombay, India, purchasing kitchen equipment for Casa Hogar De Los Angelitos (an orphanage) in Manzanillo, Mexico, and continued work in Guatemala. Locally, our Club has been involved in a variety of community service projects. We have assisted in building housing for disabled veterans, raised money for our local public television station, served as marshals at the John Deere Classic Golf tournament, and organized a Youth Harvest Project to provide opportunities for hundreds of underprivileged youth to attend a fall harvest event. Under the leadership of member Hugo Arp, our Club developed a youth exchange program with our sister city in Kaiserslautern, Germany that has been active since the 1980s. In addition to the above, our club has funded numerous causes including youth literacy, cultural diversity, area food pantries, restorative eye surgeries, and clothing for women and children seeking refuge from domestic violence. In the rich history of the Club, the outstanding values have been service, friendliness and generosity.